Honored doctor of the Russian Federation. Since 2002 became the vice rector of MSUMD for medical work. In 2007 he was elected the rector of University and in the 2012 he was re-elected for the second term. 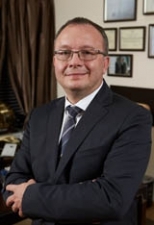 Prof. O. Yanushevich successfully combines scientific, teaching and administrative work with vigorous clinical activity, his specialization is the complex contingent of the patients having the accompanying somatic pathology, including diseases endocrine and warm сосудистной systems. He pays much attention to odontosave biotechnologies and to dental implantology, treatment of osteoporosis. 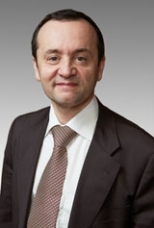 Prof. O. Yanushevich has developed and introduced unique methods of prevention of complications when carrying out operations on the directed fabric regeneration (DFR). He has published about 190 scientific works, several textbooks and methodical grants. Author of 12 patents for inventions. The chief non-staff dental specialist of the Ministry of Healthcare of the Russian Federation, the member of Advisory council of the Ministry of Healthcare, the member of Coordination council of the Ministry of Health on hi-tech expensive operations. In 2012 the Decree of the President of the Russian Federation he is awarded by the Order of Friendship. Winner of an award of the Government of the Russian Federation. Since 1971 his work is connected with MSUMD starting with the assistant to the head of the department of infectious diseases, held positions of the dean, vice rector for study, the rector of university. Prof. N. Yushchuk is the famous scientist in our country and abroad. Under his management the comprehensive program on diagnostics, treatment and prevention of infectious diseases, their pathogenesis and improvement of treatment of patients on the basis of functional and morphological and immunological data is developed. These researches were as a rule conducted at the cellular and subcellular level. 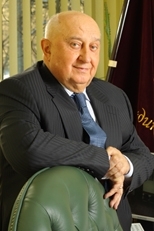 In recent years scientific activity of prof. N. Yushchuk is directed to introduction of new methods of studying of pathogenesis with use of subclinical methods of researches at the most widespread infectious diseases (intestinal infections, the rotavirusnykh of a gastroenteritis, an iyersineoza, hepatitises, HIV infection, flu, etc.). The obtained data are the basis for development of modern methods of therapy of these diseases. 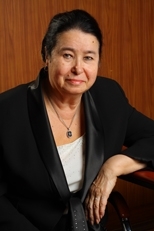 Prof. N. Yushchuk is author more than 800 scientific publications, founder and head of the science school. 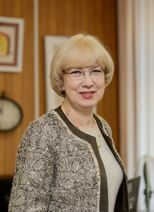 Prof. N. Yushchuk is the member of the European Academy of Natural sciences, the member of presidium of the International society of infectiologists and microbiologists. Prof. N. Yushchuk is the honored worker of science of the Russian Federation, three times the winner of an award of the Government of the Russian Federation in the field of science and education. He is awarded by the awards "For Merits Before the Fatherland" degree III, "For Merits before the Fatherland" degree IV, "Honour Sign" and "Friendship", the Certificate of honor of the President of the Russian Federation, medals and other distinctions. The main directions of prof. I. Maev scientific research are devoted to diseases of a gastroenterology. He has offered and introduced in clinical practice new methods of diagnostics and treatment the dependent on acidity of diseases (a gastrozofags reflux disease, stomach ulcer of a stomach and duodenum) based on quantitative assessment of the kilohundred-producing function of a stomach and motor and tonic violations of digestive tract. prof. I. Maev' priority researches are in the field of diagnostics and treatment of an infection of Helicobacter pylori, genetic predictors of its virulence. Today prof. I. Maev' department is among leaders the pankreatologics schools of Russia. He has introduced the high-informative criteria of ultrasonic and molecular and genetic diagnostics and the forecast of development of chronic pancreatitis which have allowed to individualize programs of its prevention and treatment. Prof. I. Maev is the author and the editor of a large number of monographs, textbooks, methodical grants for doctors, scientific articles. The honored worker of science of the Russian Federation (2008), the Honored doctor of the Russian Federation, the Winner of the Award of the Government of the Russian Federation in science and technology (2006), is awarded by the Order of Friendship (2015). • Has more than 200 printing scientific works in domestic and foreign scientific and practical magazines. The coauthor of 3 books on problems of pharmaceutical marketing (including the foreign edition). Coauthor of the textbook "Pharmaceutical Marketing" (M: "Remedium", 2007; 2nd prod. - 2008). The editor (along with O. I. Kubar, E. Yu. Barmanova) "Operational guidelines for ethics committees that review biomedical research" (Geneva, WHO, 2000). • Permanent member of the Working group of the Research center for the pharma-right of the Marburg University (Förderkreis der Forschungsstelle der Philipps-Universität Marburg). • Correspondent of the Pharma-Recht magazine ("Pharma-Recht", publishing house Beck, Munich). • The scientific consultant of the Remedium magazine (Moscow, Russia) entering the list of recommended VAK. • Fixed participant of the Russian and foreign scientific conferences and symposiums. • 1997-1999 – the responsible secretary of Committee on ethics of clinical trials of National ethical committee of the Russian medical Association. • Since 2000 till present – the responsible secretary of Independent cross-disciplinary committee on ethical examination of clinical trials. • 2005-2009 – the Executive secretary of Interuniversity committee on ethics in case of Association of medical and pharmaceutical schools. • Since 2010 – the Chairman of Interuniversity committee on ethics. From 2004 to 2011 worked as the assistant, and then the associate professor of neurosurgery and neuroresuscitation of general medical faculty of MSUMD. In 2004 has defended the PhD (medicine) dissertation and in 2011 – Doctor (medicine). 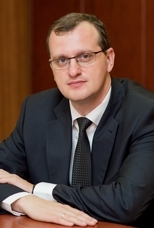 Since 2011 was the head of the division of neurosurgery of N. V. Sklifosovsky Scientific Research Institute of Emergency Medicine. Within the scope of clinical interests of O. V. Levchenko falls surgical treatment of patients with injuries and diseases of the central nervous system in particular of kranioorbital localization. He is the author of more than 90 scientific publications, a coauthor of collections of lectures and monographs in the specialty, the coauthor of 6 patents for inventions.